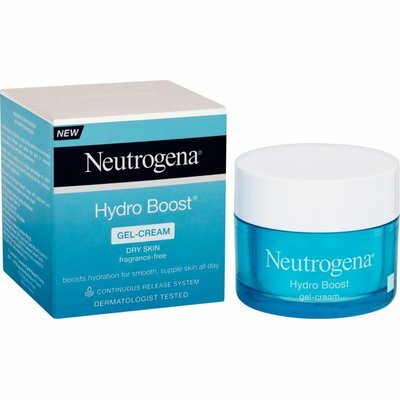 Neutrogena Hydro Boost Gel Cream 50ml is ideal for dry skin as it boosts hydration locking it in all day to leave your skin feeling moisturized and rejuvenated. Fragrance free. Oil free. Suitable for sensitive skin. UseInstructions: How to use: Apply everyday on cleansed face and neck with circular movements. Try a Hydro Boost Water Gel to help lock in hydration.